*Sales Strategy 2.0 retails for $47, but we bought it for you! We just ask that you pay your shipping / handling to receive it (just $5.99USD. Your information is secure and will not be shared. Add the FitProCalculator to your Sales DVD and get my fitness profile app guaranteed to help you in the sales process. The FPC will create a color coded fitness profile emailed directly to your clients which will explain their current state of fitness. Dumbbells to Dollars Full Suite: Get EVERYTHING you need to dominate the fitness industry in 2019. In addition to learning sales, I will include a done for you workout syllabus, training guidance, and study guide for your personal training certification. Now, being a master salesman is useless if you can't get people in front of you so I'm including my marketing guide which will teach you how to create and use fliers, search engine optimization AND facebook/instagram ads. Finally, you're going to need to KEEP these clients so my full suite course also will teach you management in the area of billing, organization, website creation, and I'll throw in forms for contracts, waivers and fat loss contests. Normally this course retails for $97 but you can get it today for ONLY $49. Act now! "Proof That 'Sales Strategy 2.0' Has ALREADY Dramatically Changed The Businesses And Lives Of Countless Trainers Around The World! Do want to share your love for health and fitness with people in your area? Would you like to get paid for your training? Your training has the ability to change someone’s life. But only if you know how to get into the heads of the people whose lives you have been called to change. It will show you how to build value within yourself to convert people in your local area to long-term clients. Sales Strategy 2.0 will teach you how to dominate fitness whether you're in a gym, working in a studio, or training independently. I was only making about $1200 max per month before I started this course. It was just extra money on the side as it wasn’t enough to quit my day job. I had only 6 clients I was training from December to January. Before that I had zero as I had given up on training for 3 years. I purchased your course January 20th and by February 13th opened up my first group training class. I had 12 people on day one and made $2400. March 13th I opened up the 2nd class and had 24 people. This month we opened the 3rd class and 36 people on the roster! I just quit my day job because I can do this full time and I've got $7200 rolling in every month! Jonathan has taught me everything from how to perform specific exercises to how to build my own website and much more! To be honest, this course helped me more than my NASM certification did. I highly highly recommend this to any personal trainer looking to expand their knowledge and fitness business. My client list has definitely grown from have 3 or 4 people to now having 15 or 20 people per class in my own facility. I would not be where I am if it wasn't for the foundation that Jonathan's course provided for me. I train at Rowlett Fit Body Bootcamp. The Dumbbells to Dollars course is a fantastic resource for anyone that runs a boot camp. Jonathan shows you everything you need to put in place to be successful in step by step lessons. 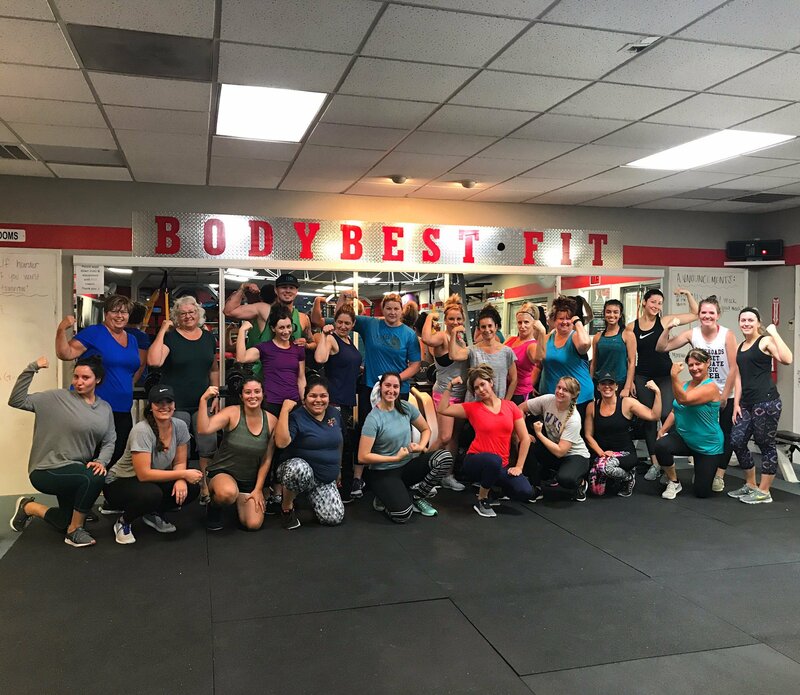 This course is also great for folks that already have a fitness business and can be used as a great resource for new workouts ideas and topics for running your business. I find this information extremely valuable and am very delighted with my purchase. The value in this package far exceeds the cost of the course. If you are considering purchasing this course just do it. You will not be disappointed. I want success like this! Like I mentioned before, this DVD is free. All I ask is that you help me cover the printing and postage costs of $5.99. It's my way of saying thank you for being a dedicated trainer. We need more of them in this country. Because (unlike other "guru's") I don't make all of my money teaching others how to make money (I actually run my own bootcamp, check me out on instagram @BFFBootcamp)... I never lost my love for this industry. As a matter of fact, I love it so much that I want to equip as many trainers as possible to see as much success as possible, because through fitness we are changing lives! So because of that, it doesn't hurt me to share with you my best stuff. I've got other products I can put in your hands, and when you see how awesome this DVD is, it should get you excited to buy other stuff from me in the future. I've only printed a few thousands copies of this DVD, and when they're gone... well, they're gone! Also, the January rush can disappear very quickly, from my experience, I've found that most people lose their desire after the first big eating holiday of the year..the Super Bowl, so you essentially have 5 weeks to make this happen before people start to forget about their goals! I 100% guarantee that you'll love this DVD, or I'll return your $5.99 shipping and let you keep the DVD anyway. That's right. You don't even have to send anything back. Just email me and I'll give you back your money with no question asked. I'm mailing you a DVD, "Sales Strategy 2.0" (that retails at $47) for FREE. Yes, this DVD is free, and all you pay is $5.99 to cover the shipping and handling. If fact, if you don't love the DVD - I'll even refund your shipping costs (and you don't have to ship the DVD back).